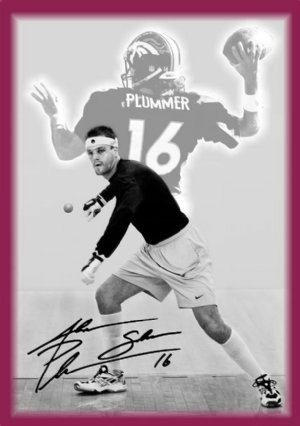 Jake Plummer and his Foundation, plus family handball bash return to the Great Pacific Northwest for a pre-Race4Eight event that will knock your socks off! 4 Wall Handball pros nestled behind the backdrop of God’s country. Continuous food and tons of competition. WPH Pro, Sean Lenning, highlights a start-studded R48Pro Cast, plus many more will be on hand. Special pro doubles also being offered. “I wanted to let you know that the PFHHB 7 & WPH Pre-R48 Invitational is happening again on October 2-4th,” barks Plummer [Jake is a former NFL pro bowl quarterback that has dedicated his post playing career to helping others. The Jake Plummer Foundation is doing some amazing things and you can be apart of the mix!]. “I look forward to seeing all of you this fall!” WPH will be on hand helping with the tournament desk, administering the pro bracket and filming player and fan interviews throughout the weekend for the ESPN/Race4Eight tour.